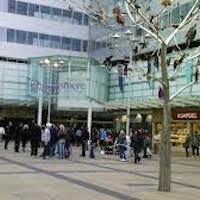 Team Building in Slough can include our popular Treasure Hunt which always gets a good response. 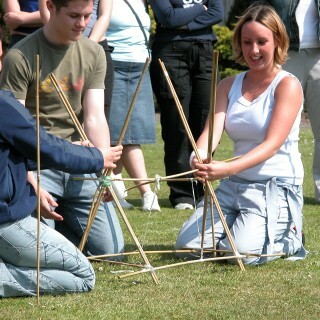 as well as other outdoor activities can be a great means of getting your team working together as well as having fun. Our indoor activities, such as Flatpack, Chain Reaction, Make a Million and Chocolate Challenge are suitable for any venue. 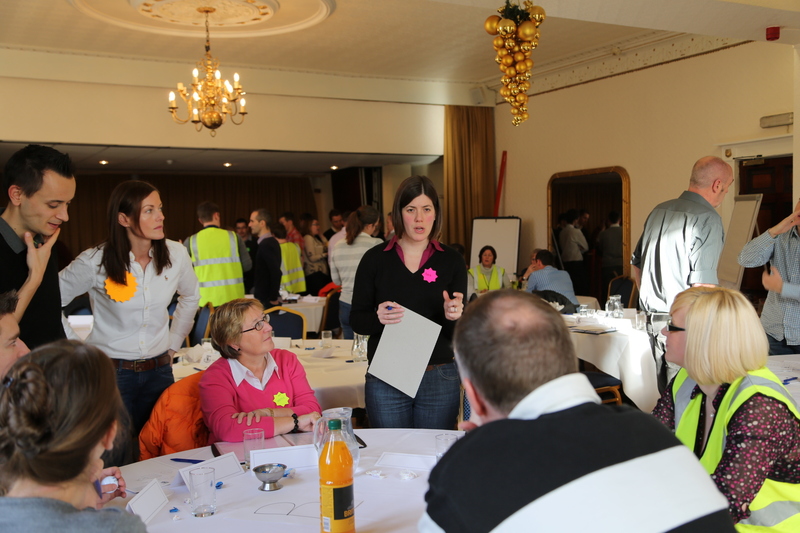 Our team building tasks are designed to help your team work together and achieve better results. All of lovely clients, like Pepsi, Lloyds Bank, Brasher and Radisson have enjoyed our activities whether just for fun or getting more out of the team. If you fancy some outdoor activities we would suggest travelling outside the main city area to benefit from some of the excellent hotels in the area. Many of our outdoor activities, such as Rope Courses, Decision Wheel, Treasure Hunt and Bomb Disposal are versatile and can be run indoors if the weather is poor. For more ideas give our sales team a call on 0845 680 6109 and discuss your requirements, fill out a quick enquiry or take a look at some of the other great events we run in Slough! Our indoor activities are flexible and can be as short or long as you want them to be. Some of our popular and fun events are Chain Reaction, Cryptic Challenge and Chocolate Challenge providing indoor fun and supporting initiative, creativity and better collaboration. 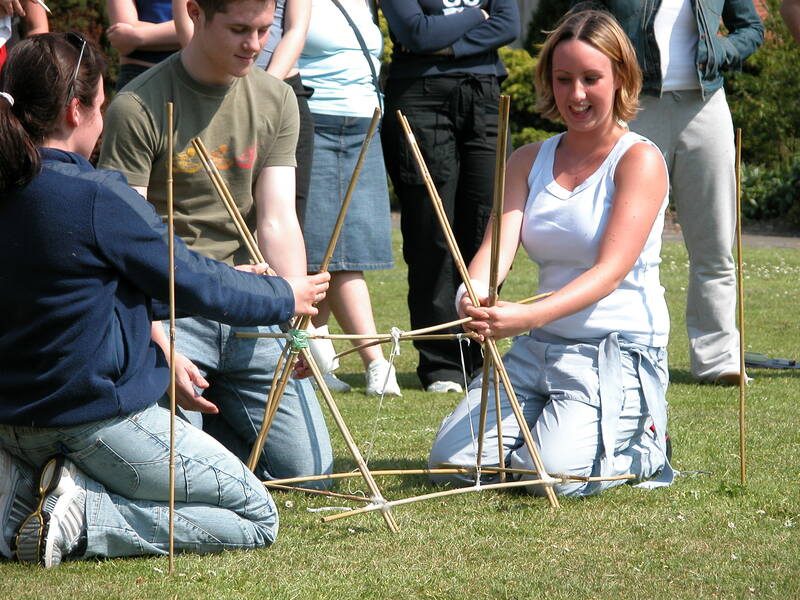 The venues in Slough also provide the perfect backdrop for some of our top selling outdoor activities like Decision Wheel and Flatpack, which are both challenging and entertaining and various other games where tasks have to be completed under pressure. 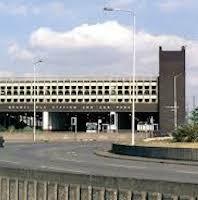 Slough is a small town in the Berkshire County of southeast England, west of Greater London. Today, it has been integrated with the centre of England’s network of transport and communication and is located between the M25, the M4 and the M40, with excellent railway links to the heart of London as well as the rest of the country. It is merely a ten minute drive from the Heathrow Airport and less than an hour’s drive from Gatwick Airport. 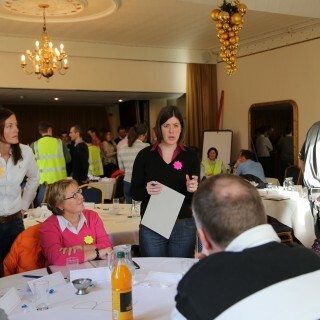 The town is a perfect backdrop for indoor and outdoor team building activities for your organisation. Absolutely Ten Pin offers indoor karting venues, for ice karting and ice-skating, with the Ten Pin Bowling lane offering the perfect venue for events and celebrations. The Herschel Sports offers a huge indoor sporting hall, with more venues for sports and activities at the Montem Leisure Centre. The Black Park Country Park and the Race Hut are great locations for a day of fun and challenge for your team. The first existing record of this town dates back to 1196, spelt Slo and probably referred to the marshes in the area. Though many prehistoric relics have been found here, it developed only after the Old London Road, now known as the A4 was constructed, connecting London to Bath. It was a small brick-making village and later became one of the stops for horse coaches, with many inns being constructed for travellers. The town developed with the Great Western Railway running from London to Bristol in 1840 with many attractive houses, near the Windsor Castle and the Eton College. The town also developed during the Victorian Era with the Electric Magnetic Telegraph established here in 1843. After the 2nd World War, it became an industrial town, mainly known for big companies like Masterfoods, Amazon.com and Citreon. 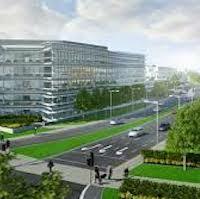 It is an important commercial centre with various international affiliations. The Windsor Castle, one of the official residences of the Queen and one of the largest and oldest occupied castles in the world is just 2 miles away.